The Wilder brothers, Johnny and Keither, hail from Dayton,Ohio, but formed Heatwave in 1976 after their honorable discharges from the US Army and while they were still in Germany. 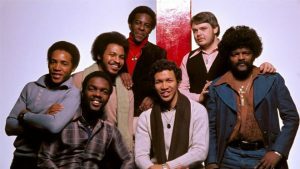 In addition to their evergreen ballad, “Always and Forever,” and perhaps the best disco funk album ever, “Too Hot To Handle,” the Wilder brothers gave the world keyboardist and songwriter, Rod Temperton, whom they discovered in Europe. Johnny Wilder was paralyzed from the neck down in a terrible auto accident in Dayton in 1979 and now records as a Christian artist. Keith and a reconstituted “Heatwave” started performing live again in the mid-1990s. Check them out on the 1997 concert album, At The Greek Theater, Hollywood. how many 80 mg strattera to get high.